Roots can grow and infest pipes and sewage lines causing clogs and other problems. 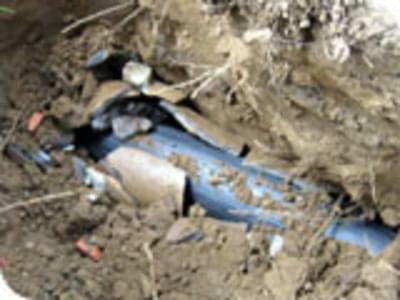 Pipes are also prone to cracking, and corroding, which causes failure in the line. Trenchless pipe replacement technology is a revolutionary process which allows the replacement of the existing pipe without having to dig a trench or remove objects that would impede the traditional installation such as: patios, decks, foundations, garages, sidewalks, walkways, streets, landscaping, etc. Trenchless piping systems can be used to replace existing water pipe lines, gas pipe lines and sewage systems. We use Polyethylene pipe which is a high-density, semi-flexible pipe, conforming to ASTM F 714-00 specifications. The polyethylene pipe is rated for 100 PSI pressure. The polyethylene Trenchless pipe replacement is virtually root, chemical and earthquake proof. It has a life expectancy of well over 100 years, and has been used for potable water systems for over 50 years. Cities and municipalities have been using polyethylene Trenchless pipe in the streets for sewer mains for over 35 years. It has also been used to transport corrosive waste for many years as well. The Polyethylene pipe we use for Trenchless pipe replacement is a proven technology and is quickly becoming the standard for all underground piping installations. The Polyethylene pipe is "seamed to fit" on the job site, so there are no joints to allow roots to infest the polyethylene Trenchless pipe. This also allows the pipe to retain its amazing strength. The polyethylene pipe can be pulled, using Trenchless technology, through up to three 45-degree turns. It has "memory" which allows it to return to shape when it is set. 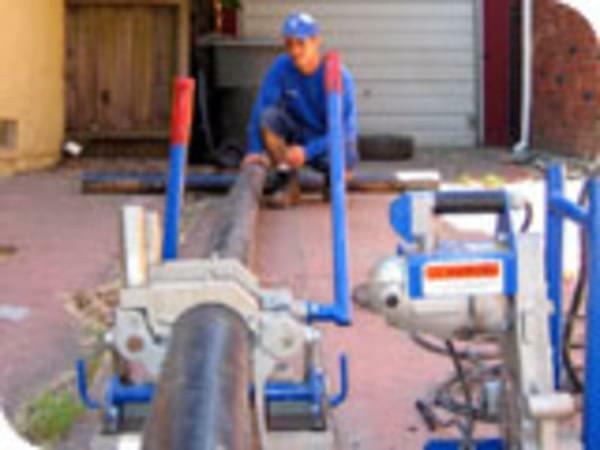 We have installed thousands of Trenchless sewage and pipe systems throughout Sacramento. Call today to learn more, or have an experienced professional review if this is something right for you. Cost Effective – compared to repair costs and time to remove and replace existing objects such as patios, decks, sidewalks, garages, etc. Quick Installation – 2-3 days is all that is required for most jobs. Water and sewage systems are only off-line for a few hours. 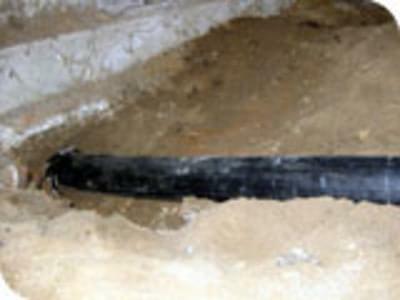 Clean Low Impact Installation – Little sign of installation, since it is pulled underground through the existing pipe. Guaranteed – the Trenchless Polyethylene pipe carries a 100 year warranty. We stand behind our Trenchless pipe installation. Strong – Highly durable and flexible, impenetrable to roots, earthquake and chemical proof. Flexible – we are able to bend the Trenchless Polyethylene pipe to accommodate situations in which the existing system does not run in a straight line. The old pipe or sewer line is revealed and prepped for the new Trenchless Polyethylene pipe installation. The replacement pipe is prepped to be fused which creates one continuous, seamless Polyethylene pipe, custom fitted for the job. Through a quick and simple process, the pipe is fused together, making it as strong as the original Polyethylene pipe itself. This process occurs in the location in which it is to be pulled to replace the existing pipe. Little preparation is required to install the new Trenchless Polyethylene pipe. A cable is snaked through the existing pipe and attached to the leading head. The leading head is pulled through the existing pipe, breaking the old pipe and replacing it with a new Trenchless Polyethylene pipe. The cable pulls the leading head through the existing pipe at a rate of around 2 feet per minute. The replacement Trenchless Polyethylene pipe is pulled through the existing line. Our technicians carefully monitor and control the pulling process to ensure the Trenchless Polyethylene pipe is pulled properly through the existing pipeline. The leading head finds its way to connect up with the main line, existing pipe or sewer line. A new connection is made and a clean out is installed to ensure a lifetime of trouble free plumbing with the new Trenchless Polyethylene pipe system.